OPEC crude production fell by 240,000 barrels per day in February to 30.68 mill barrels, the lowest level in four years. February numbers show a significant cut over compliance, with Saudi Arabia leading the way with a 153% compliance rate, already some 170,000 barrels per day below the overall target. Iraq and Saudi Arabia contributed 170,000 barrels in additional cuts between them in February alone, Gibson Shipbrokers said in a report. However, having already cut production close to their original 2019 target, they may now be missing the opportunity to capture market share in the face of rising demand. The impact of sanctions on crude supply may soon increase. 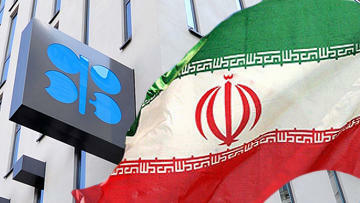 Although Iran is exempt from OPEC’s cuts, in seven weeks waivers for Iranian crude are set to expire. Some of Iran’s biggest customers - China, India, Japan and South Korea - are all partially exempt from the current US oil sanctions on Iran, however this may soon change. Last week, IEA data showed Iranian crude production had fallen to 2.85 mill barrels per day in February, its lowest level since the first quarter of 2015, when Iran was under previous sanctions. In 2018, Iran exports averaged almost 2.5 mill barrels per day, with over 1 mill going to China and India. The US Administration has not yet revealed whether any of these waivers will be extended, leaving those countries potentially having to replace over 1 mill barrels per day from elsewhere. However, this may not be as easy as it sounds. Obvious sources, such as Venezuela and Iraq, are already under sanctions or participating in OPEC cuts. This may now leave OPEC wondering whether deeper cuts are appropriate considering many refineries in the region are optimised for heavier crudes. The tightness in the heavy crude market is also exacerbated by greater US appetite to replace Venezuelan barrels with heavy grades already in short supply. Incremental supplies from Canada are also limited, owing to government enforced production cuts. Recent reports from Reuters said that the US aims to cut Iran’s exports by a further 20% to below 1 mill barrels per day, saying that they were unwilling to cut anymore over price hike fears, backtracking on previous statements to cut their exports to as close to zero as possible. However, analysts have indicated that India could be willing to cut all Venezuelan crude imports to satisfy US sanctions in return for further waivers on importing Iranian crude. This would potentially starve Venezuela of its last major‘cash’ buyer although simultaneously, it would cause a headache for some Indian refiners that prefer Venezuelan grades. However, the situation in Venezuela looks like it will get worse before it gets better. The heavy crude market is already incredibly tight and production cuts come at a time when demand for heavy grades is rising.This is significant, as greater demand for heavy grade crudes will have to be sourced from elsewhere, especially when we start to exit the Asia/Pacific maintenance season and new refineries come online. With production cuts coming from the main heavy grade producing regions, refiners may have to look West to replace their missing barrels thus supporting tonne/mile demand from West to the East. With US production posting strong growth this year, OPEC cuts are to be largely offset, perhaps justifying the organisation’s current stance even if there’s a mismatch of grades. Meanwhile, Reuters has reported that the Maritime Authority of Panama (AMP) has removed 59 Iranian-linked ships from its registry, quoting ShareAmerica, the US State Department-run platform. The move came after Juan Carlos Varela, Panamanian President, issued a presidential decree last month, allowing the AMP to de-register the vessels. Out of these, at least 21 Iranian-owned tankers have had their registration revoked, Reuters reported. In 2016, Iran and Panama agreed to add Iranian tankers to the Panamanian flag, which has now been dissolved due to the sanctions.